This afternoon, the Federal Reserve raised the interest rate .25%. This is not an unexpected event. The FED has been dropping subtle (and not so subtle) hints about raising the rates for several months. The last time the Fed raised interest rates was in 2006. New home buyers will face an increase in their mortgage payments although the increases will be rather minor. A .25% increase in mortgage interest will increase your payment approximately $2.50 for every $1,000. Mortgage interest rates are only one factor to purchasing a home. If you are thinking of buying or selling, talk to a REALTOR® who can give you the information you need to make an informed decision. For the last few years, buyers that were able to obtain a mortgage, found the real estate market to be a buyers’ market, but that is changing now. As the economy has continued to rebound, and banks begin to loosen the purse strings, there are more and more buyers moving into the housing market. This influx of buyers has caused home prices to increase anywhere from slightly to dramatically depending on your location. In many areas, a shortage of inventory of homes has resulted in multiple offers on many homes and this again, has resulted in home prices increasing. This has caused the market in many areas to begin turning into a seller’s market, but this may be short lived for two reasons. The first reason is that as home prices increase, more and more homeowners, who have been on the sidelines waiting for the prices to increase, will enter the market. This alone may cause the prices of homes to drop somewhat or at least stabilize where they are. The second reason, and possibly the more important, is that as mortgage interest rates edge upward as they are expected to do, there will be fewer potential buyers priced out of the market. The graph below shows how the increase in interest rates will knock approximately 6 million potential buyers from the market. At an interest rate of 3.8% there would be slightly more than 20 million potential buyers in the market for a median priced home. Once the interest rates climb to 7.0% there would be almost 6 million potential buyers who would no longer qualify for a mortgage. This chart is not taking into consideration that the time span that would permit the interest rates to increase would also result in a potential price increase of the home. This is why now may be the ideal time to sell. If you are thinking of buying or selling, talk to a REALTOR who can give you the answers you need to make an informed decision. Mortgage Interest Rates Hit Record Low – Again! NOTE: For recipes, Special Day, Special Way, or Spiritual Growth postings, click on the tabs above. Mortgage interest rates have hovered near the 4 percentage rate for the last several months and have undoubtedly contributed to the upswing in the housing market. This morning the average mortgage rate on a 30 year fixed mortgage fell to 3.87%, down from 3.98% last week and from the previous record of 3.88% two weeks ago. Although the interest rates are at historical lows, the number of homes on the market that are under water or are in foreclosure continues to keep the price of homes at extremely low prices. One factor that remains a concern is the confidence level of buyers. The unemployment level remains high, although lower than it has been in the recent past. Nevertheless, the trend for the housing market continues to show improvement and is expected to continue to improve going forward. One area of caution is that anyone thinking of taking out a mortgage should thoroughly review the fees banks are attaching to the mortgage. The average fee rate has increased from .7% to .8%. The fees are in addition to the origination fee banks charge. If you are thinking of buying or selling, talk to a real estate professional who can get you the answers you need to make sound decisions. As always, if I can help with any of your real estate needs, please don’t hesitate to text or call me at 615 417-8182 or email me at RolandLow1@gmail.com. The long awaited news of financial institutions loosening credit requirements appears to becoming a reality sooner than expected. The projections for 2012 were that credit would not ease substantially until late 2012 or 2013. However, a recent report from Capital Economics, a global independent, macro-economic research consulting firm, states that the real estate bust appears to be coming to an end sooner than anticipated. Their findings are based on the data that credit requirements have dropped dramatically recently indicating that financial institutions are jumping into the mortgage business once again. There are several indicators that are pointing in the right direction. Several months ago, a credit score of nearly 800 was required to get a mortgage company to loosen its grip on the money, now however, the average credit score is in the range of 700. This score is still higher than required prior to the real estate bust, but significantly lower than the beginning of the down turn. In addition to the lower credit score required to obtain a mortgage, financial institutions are now lending amounts up to 3.5 times the borrower’s earnings. This is up from 3.2 times the borrower’s earnings during the crisis. The best news yet, is that banks have increased the LTV (loan to value) ratio. In the middle of 2010 banks LTV ratio was 74%. That ratio has now increased to 82% – a very significant indicator of a rebound of the real estate market. I certainly don’t need to point out that the real estate market has not rebounded to the days of old, but the indicators all point in the right direction. There are two factors that I think are still an issue: one is the financial situation in Europe and the other is the confidence factor here in the United States. I will be addressing the confidence factor in my next blog. As I have been saying on this blog for some time now, the market is rebounding, slowly but surely. If you are thinking of buying or selling, talk to a real estate professional who can get you the information you need to make informed decisions. A day doesn’t seem to go by without the media reporting how bad the economy is. It reports about companies that are laying employees off; retail sales slumps; companies closing; and of course the roller coaster ride of the stock market. Tucked somewhere in all that chatter the media reports that mortgage rates are down. I have stated many times on this blog that interest rates for mortgages are at an extremely low rate – 4.1% as of September 12, 2011 for a 30 year fixed. Adjustable rate mortgages are at 2.8%. These rates are the lowest they have been for “at least 40 years” according to the National Association of REALTORS®. Yet, there are few buyers jumping into the market! There are a lot of reasons for buyers not wanting to get into the market, and there are as many reasons as there are buyers. But some of the more common reasons revolve around the job market and the ability to get a mortgage. With the unemployment rate around 9.2% there are literally millions of men and women who have lost their job or may be underemployed. And, there are millions more who undoubtedly are concerned waiting to see if their job will be the next to go. Bank of America just announced laying off 30,000 employees in the next couple of years. Several other companies have announced lay offs and that has to wear on those who are employed. Retired individuals who rely on their savings have seen dramatic drops in the stock market and many of those folks have seen large drops in the money they expected to receive. Yet, there are millions of people – in fact the majority of people – who are working and have the money to get into the home market, yet, in large part, they do not. Why? Again, there are as many reasons as potential buyers why someone does or does not do something, but there is one reason that seems to be a recurring theme. Banks are not loaning mortgages. Even though home prices have fallen dramatically in the last few years and interest rates are at historical lows, potential buyers are not able to obtain the mortgages needed to purchase homes. People with pristine credit ratings are complaining that the banks are requiring them to “jump through hoops” to obtain a mortgage. The normal credit score for a 30 year fixed mortgage historically was 650, now the banks are requiring a credit score of 700. Even with the higher score, buyers are bewildered with the requirements banks are insisting on to approve a loan. To make matters worse; when a potential buyer hears of interest rates in the vicinity of 4.1% and then talks to the mortgage lender and are told that they will only qualify for an interest rate of say 6.5%, they feel ripped off. Even though 6.5% is still a respectable interest rate, buyers are put off and walk away with bad feelings. I encourage anyone who is thinking of buying real estate to talk with a REALTOR to get the facts of todays market. If you do not know a mortgage broker who can help you get through the maze of information, your REALTOR will be able to help you with that. Real estate is still a viable option in attaining wealth and this is a good market to buy a home. As always, if I can help you with any of your real estate needs, please don’t hesitate to text or call me at 615 417-8182, or email me at RolandLow1@gmail.com. The mortgage interest a buyer receives for the purchase of a home is a major factor in how much home they can buy. 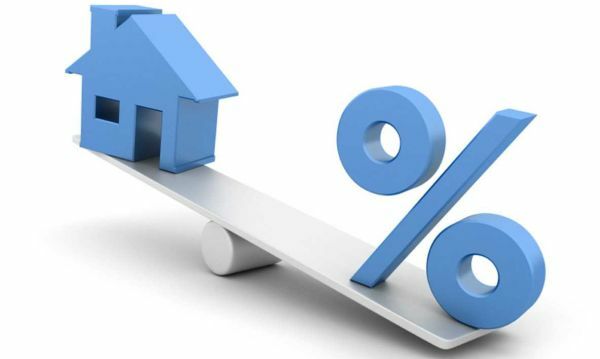 I have reported in several posts that the interest rates at this time are extremely low and can truly work to the benefit of both buyers and sellers! Buyers for obvious reason, and for sellers, a good incentive for buyers to buy if the home is priced right. 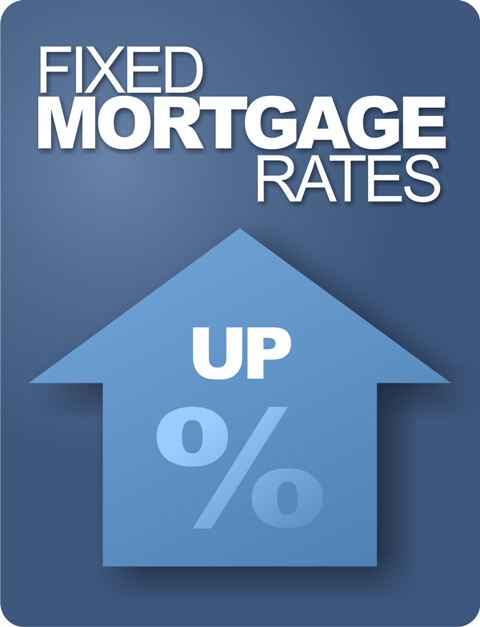 The most recent interest rate for a 30 year fixed mortgage is 4.2%. A rise of 1% interest rate to 5.2% may not sound like a lot, and it is still a remarkably low-interest rate, but that increase can be a substantial amount of money. That same scenario with an interest rate of 5.2% would result in a P&I monthly amount of $1,372.79. The difference of $150.23 may not sound like a deal breaker (although it may be in some cases) over the life of the mortgage the homeowners would pay an extra $54,082.80. These numbers are the reason I urge people who are thinking of buying a home, or moving up to their dream home, to act now. The low home prices and extremely low-interest rates make buying a smart choice.